Deal: Unlocked 128GB Samsung Galaxy S9+ drops to lowest price to date, save big! The dual-SIM Samsung Galaxy S9+ has been on sale on eBay for quite some time, but the latest discount for the 128GB variant is the largest we've seen to date! With less than two days left until Black Friday, many retailers are trying to fine-tune the price of some of their hot products to appeal to as many consumers as possible. The unlocked 128GB Samsung Galaxy S9+ (US version) currently sells on Amazon for $689, but you can get one on eBay for just $620. This eBay listing even beats Samsung's own Black Friday deals for the device. 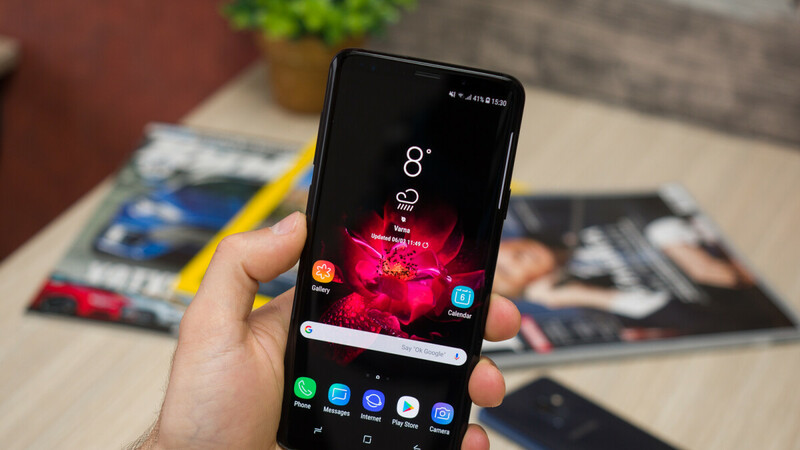 The downside is that this is the international version of the Galaxy S9+, which means it will only work on GSM networks like AT&T and T-Mobile. The smartphone is available in Coral Blue, Midnight Black, and Titanium Gray, as Gold, and Lilac Purple appear as “out of stock” for the moment. We suspect the deal won't last much longer, as eBay states that more than 95% of the units have been sold. Thus, it's a good idea to act quick if you're interested. The best deal of 2018 so far. considering it has hardware equivalent to the 1000+ phones coming out now, its the best deal for the end of the year.